Naperville towing company offering light, medium, heavy duty towing, collision recovery, roadside assistance, throughout Naperville, Aurora, Plainfield, Chicagoland plus beyond. Need towing? Need roadside assistance? Call (630)200-2731 now, later, 24-7! Need towing or roadside assistance that you can trust plus afford? 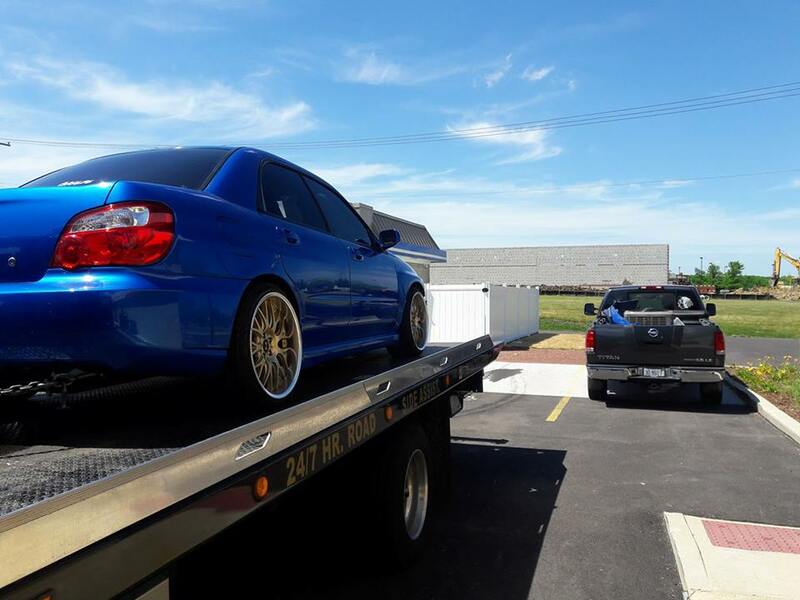 Tow Recover Assist is a Naperville Illinois based towing company with multiple locations strategically positioned throughout Naperville, Aurora, Plainfield, Bolingbrook, Chicagoland, Illinois, that is always there for you. Our fleet (team) is here for all your towing, collision recovery, plus roadside assistance service needs A-Z. How can we be of assistance aka help? Call (630)200-2731 now, later, 24-7! Our towing company (team) has been serving Naperville, Aurora, Plainfield, Bolingbrook, all nearby suburbs, Chicagoland Illinois, plus beyond since 1995 and are looking forward to many more years to come. We don&apos;t want your money, we want to earn it along with your business. We work hard to make sure that you remember us if and when the need for a towing or roadside assistance service arises. How can we help you? Need towing Naperville, IL? Looking for a towing service Aurora, IL? In the West, North, or South Suburbs of Chicago in need of a towing or roadside assistance service? Let our team at Naperville-Aurora&apos;s Tow Recover Assist show you why we&apos;re your #1 choice for all your towing & roadside assistance needs. Call our team now! 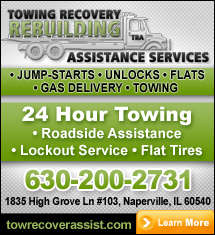 Our Naperville towing company Tow Recover Assist specializes in towing & roadside assistance services A-Z. Day or night, rain or shine, sleet or snow, our team is here for you, anything, anywhere, anytime, 24-7! What can we do for you? 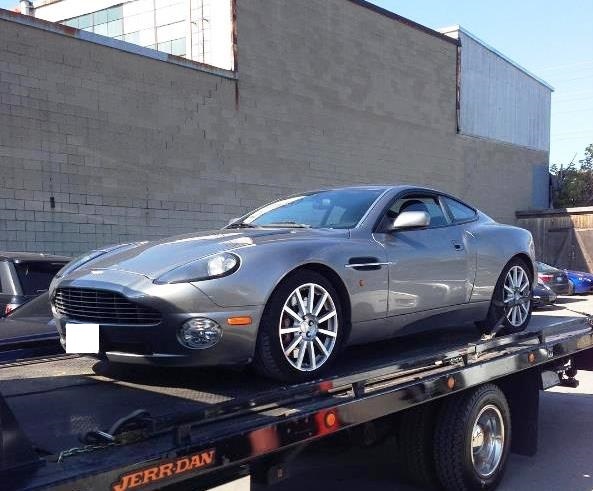 Does your car, van, SUV, auto, truck, classic vehicle or motorcycle need a towing service? Our team offers light, medium, & heavy duty towing services A-Z. Towing services include all of the following but never limited to: motorcycle towing, collision & accident recovery, winch service, rollback (flatbed cargo transport, loading & unloading), tool box transport, low clearance, parking garage, auto repair shop referral, junk vehicle removal, cash for cars, antique & classic, exotic & luxury, flatbed & wrecker, local to long distance towing. In need of a roadside assistance service "near me" or "near you"? How may we be of assistance? Our many roadside assistance services include but are never limited to the following: battery jump start, auto lockout, flat-tire change, & repair, gas, fuel, diesel & air delivery, minor repairs, mobile battery replacement, hence roadside assistance services A-Z. Regardless we have all your roadside assistance needs covered. From minor inconveniences to major emergencies, trust our team to help you get back on the road quickly and safely all while saving money. We&apos;re partnered with local collision repair, body repair, & auto repair shop experts for your added convenience. We&apos;re family owned & operated w/family prices included. How may we be of assistance? Call our team 24-7! Wondering where you can find our tow trucks & roadside assistance service vehicles besides Naperville, Aurora, Plainfield, Bolingbrook, Romeoville, Chicagoland, IL? We&apos;ve been towing Naperville-Aurora, IL, plus all surrounding Chicagoland since 1995 for many reasons. Having over 200 plus years of combined towing experience, knowledge, & training under our belts, we know how to keep our customers happy. Plain and simple if your not happy we&apos;re not happy. What can we do for you? Call now, later, 24-7! We have built a #1 towing service provider kind of reputation in Naperville, Aurora, & throughout Chicagoland. We are known for providing not only high quality towing & roadside assistance but also prices that are suitable for each of our customers&apos; needs and budgets. Need a towing or roadside assistance service? We&apos;ve got you covered! 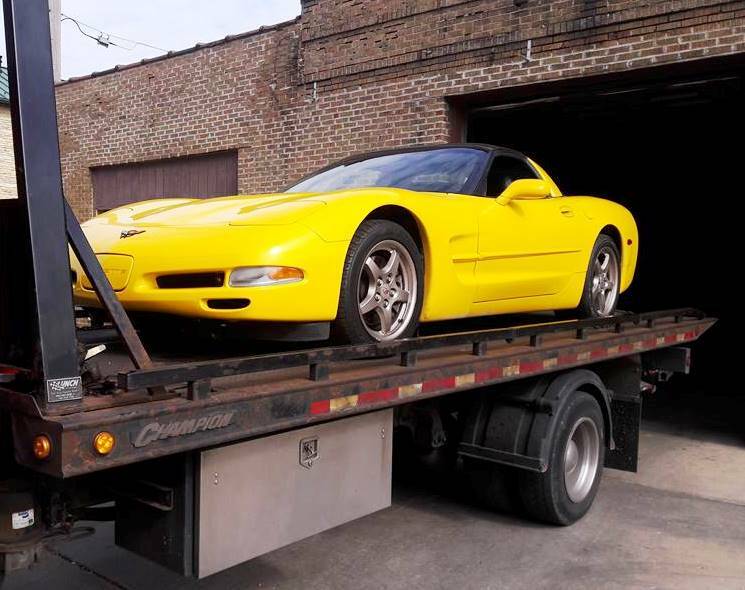 At Towing Recovery Rebuilding Assistance Services, we offer a wide range of towing, roadside assistance, & automotive repair services throughout Naperville, Aurora, Plainfield, Bolingbrook, Illinois, plus all surrounding Chicagoland. In need of towing in Naperville? Need a roadside assistance in or near Aurora, IL? Need an auto repair shop Plainfield, Naperville, Bolingbrook, Romeoville, IL, or any surrounding Chicagoland that you can trust? Pick up the phone and give us a call at (630)200-2731 now, later, 24-7! Family owned, operated, Naperville towing company started by Naperville&apos;s one and only Corry L. Born, raised, and all grown up in the Naperville, Plainfield, Bolingbrook, area. A Universal Technical Institute grad, studied auto, diesel, electrical technologies. Grew up turning wrenches in his dad&apos;s garage which eventually turned into one of the top repair shops in the local area. He wanted to work with the family but then without the family. Hence you always here people say don&apos;t go into business with your family and or work for your family. Over many years in the auto industry Corry learned the in&apos;s and out&apos;s of the towing & roadside assistance service world. Until one day boom, 24-7 towing and roadside assistance throughout Naperville, Plainfield, Bolingbrook, Illinois, all surrounding Chicagoland, plus beyond. When you need a towing or roadside assistance service, our Naperville-Aurora towing company is your #1 choice for many reasons. Give us a call now and will show you why! Check out our towing company on Google+ for more info! Check out our Naperville towing company on Yelp for more info!